2017 is about to end and 2018 is knocking our doors, so who is ready to open the door? Here I am welcoming 2018 with a very happy and optimistic heart. Alhamdu’lillah for everything during this amazing year 2017, looking forward to 2018 now. 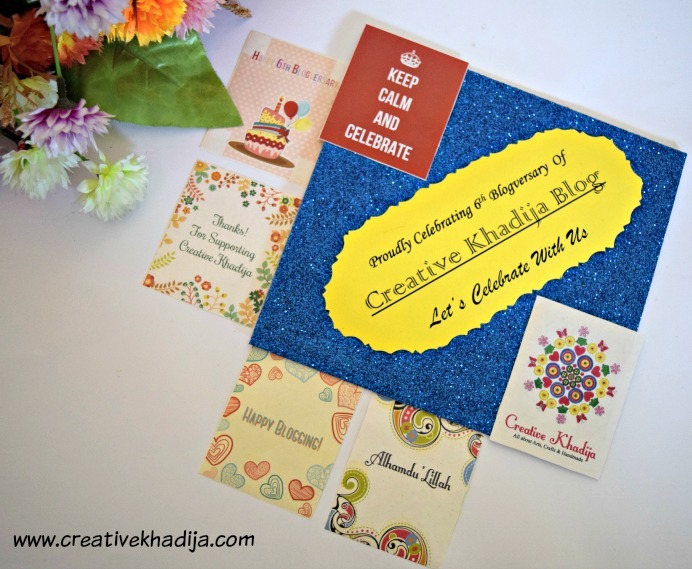 Let me share the yearly recap of my blog as every previous year of blogging. By the way do you remember my previous years recap posts? You can find all of them in my blog category Recap Of The Year. I hope you will enjoy seeing stuff from archives as well. 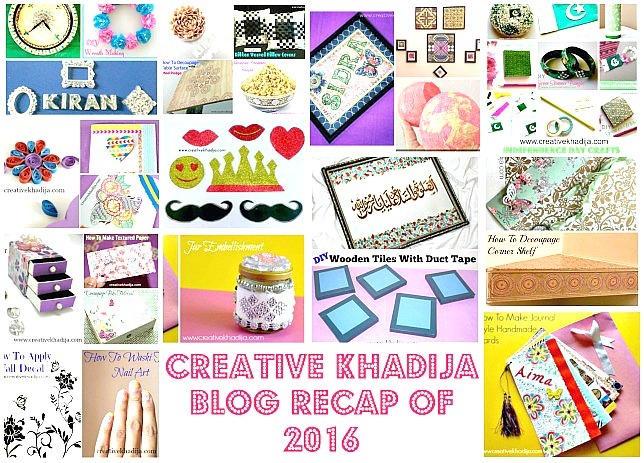 Now have a look at Creative Khadija Blog Year 2017 DIY-Crafts Recap. Also give your feedback about my work and blog. Your views are always appreciated. 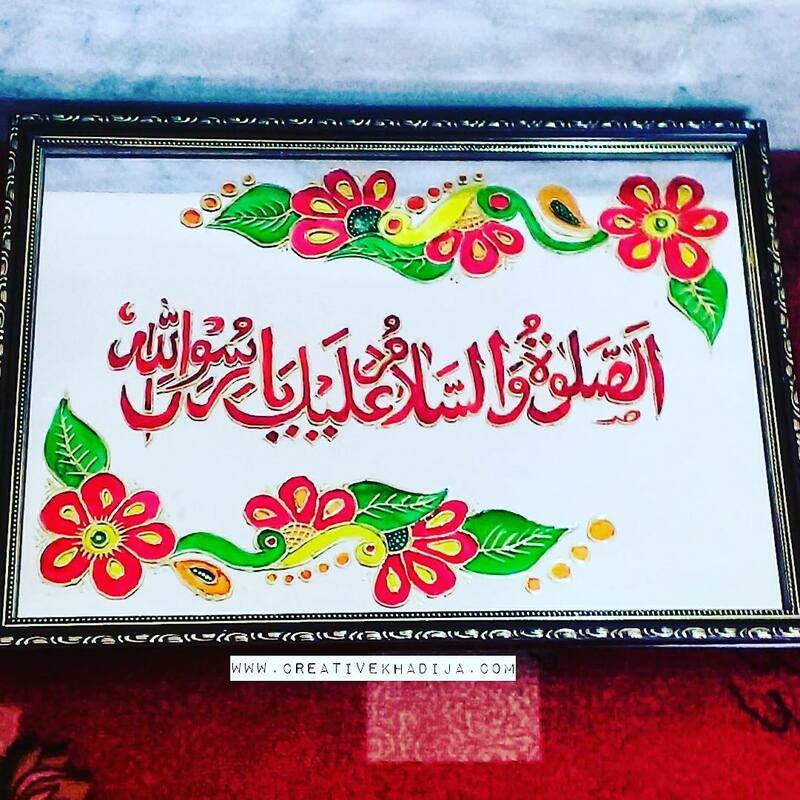 I painted this wall art with Arabic calligraphy. It’s Darood Paak of Prophet Muhammad Peace Be Upon Him. Here is some random dose of motivation with quotes. 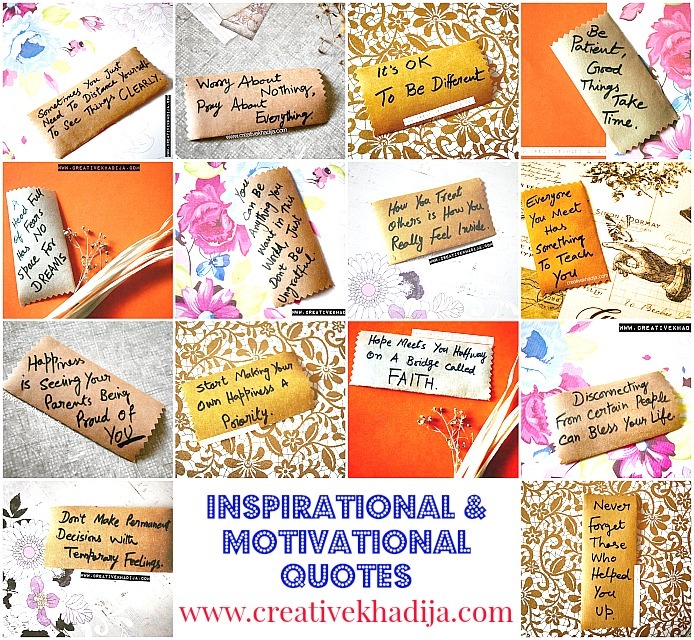 I was just experimenting with my photography and tried to click some share-worthy quotes images. 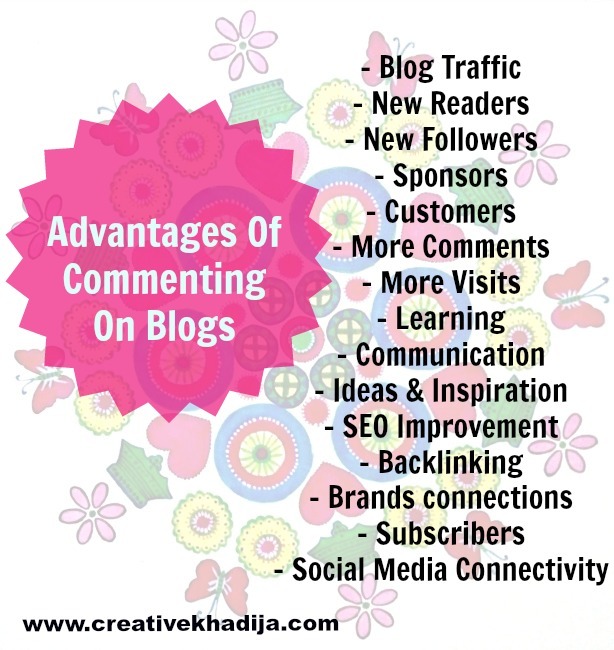 After some inspirational quotes, I decided to inspire others by sharing some info related blogging tips, tricks and useful knowledge to improve blog. If you are a beginner you should give it a read. 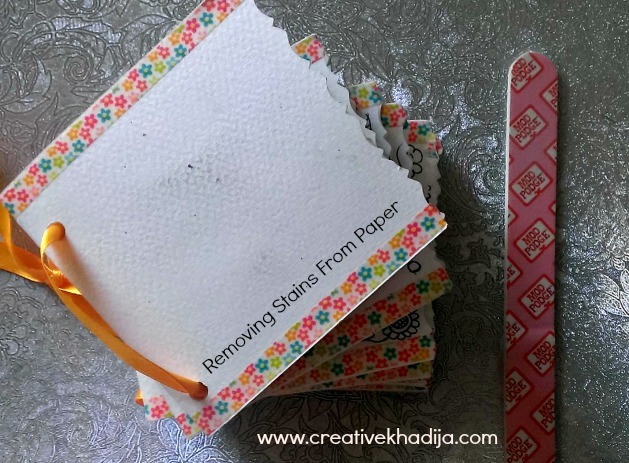 Let’s talk about crafting and some hacks while paper crafts. 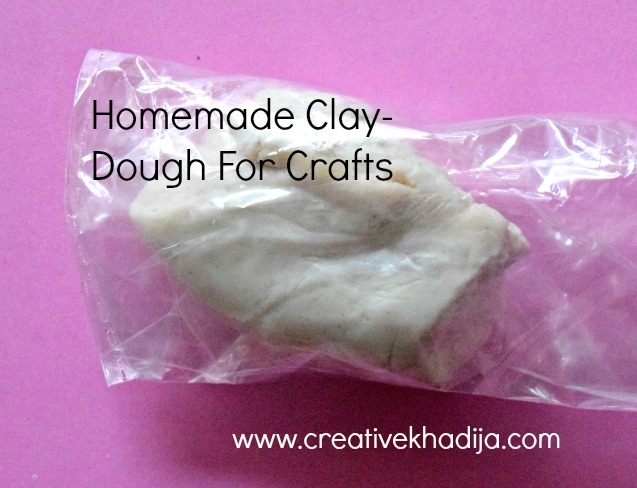 I made some dough for making flowers and little embellishment things related dough crafts. I made some dough flowers with this homemade craft dough recipe and then shared it’s crafts in February month and March too. Update – This bottle is no more pretty like this, m little nephew broke it recently. 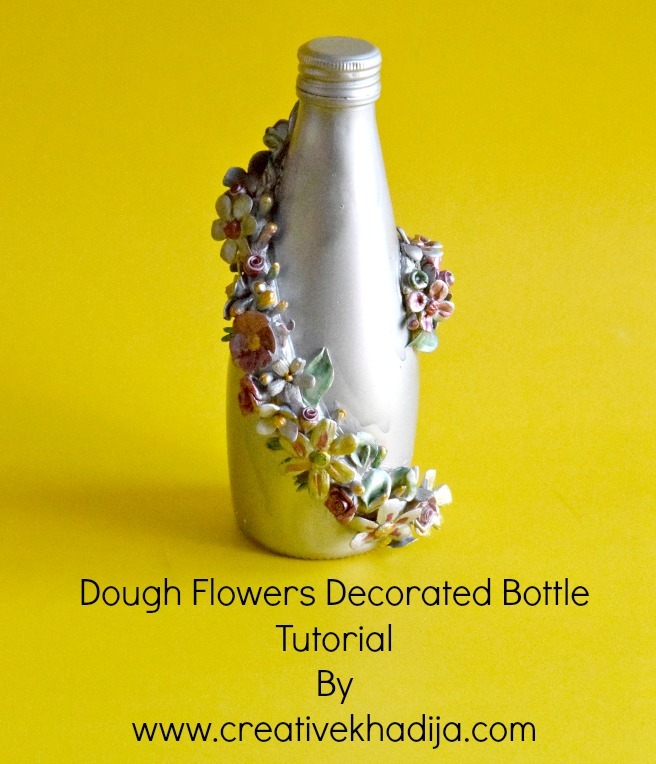 Hah..
Another dough flowers decorated craft idea. 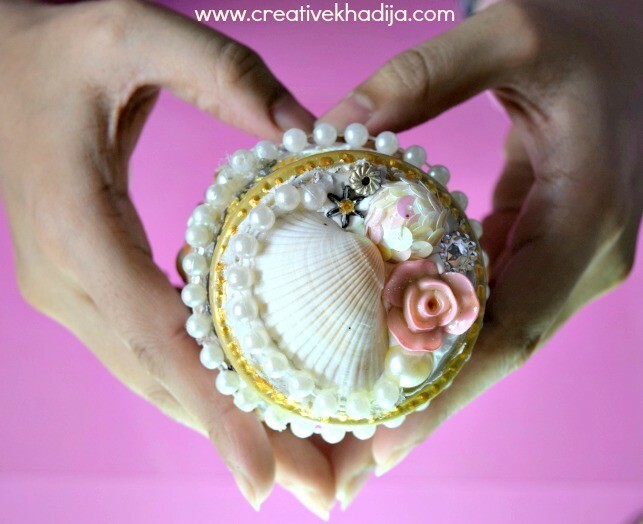 It’s an organizer for keeping jewellery safe at one place. March is all about start of Spring season. I decorated this wall art with my handmade dough flowers. 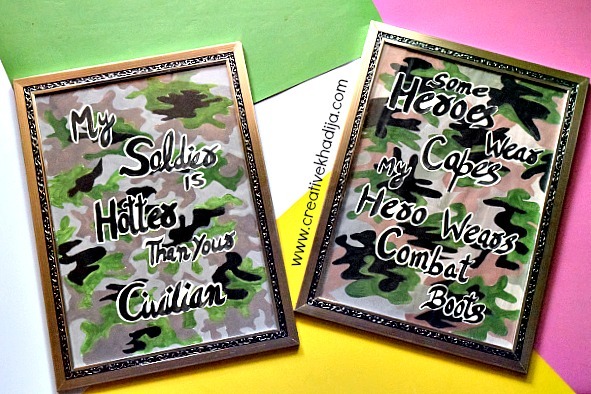 Camouflage painting and calligraphy wall art I did for a client whose husband is in Army. 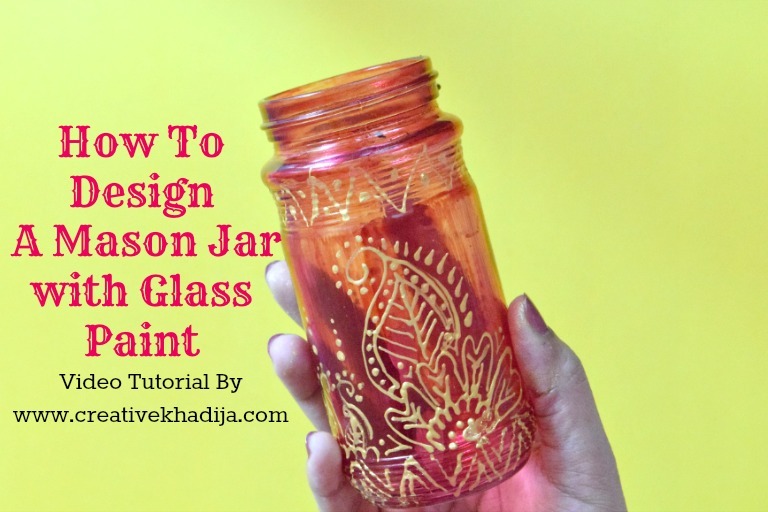 I made a video tutorial on mason jar glasspainting. Isn’t it satisfying to see the process? Check again. 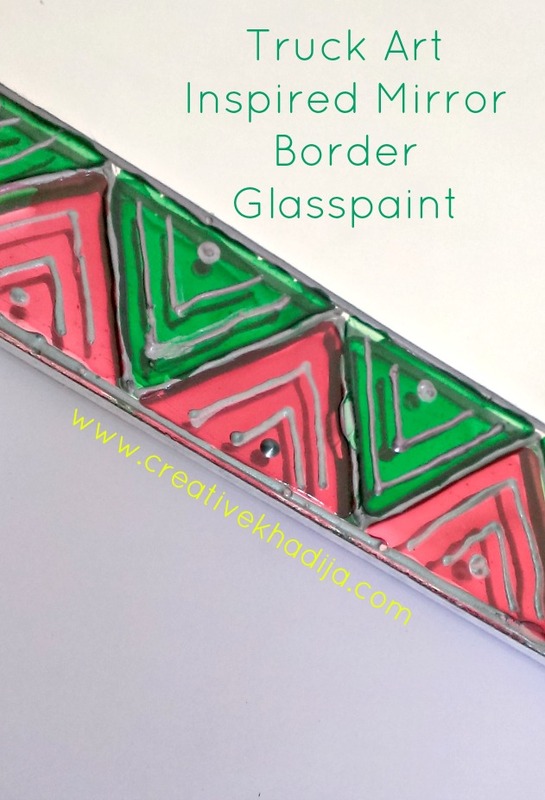 Every time when I see my glass paints are getting dry, I paint any glass or mirror again. Not bad, right? 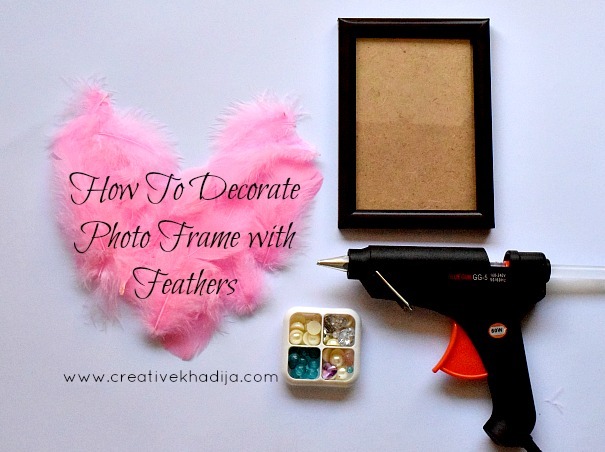 I have many pink feathers in my craft stash, I got it from HobbyCraft UK. 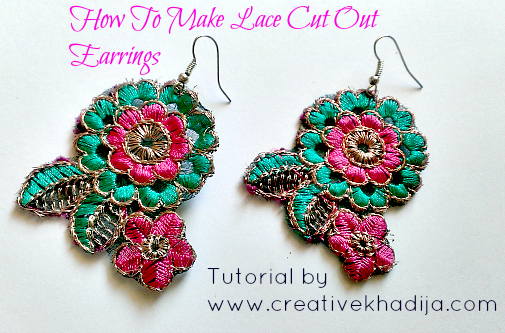 I made earrings and designed the frame too but still there are many in the packet. 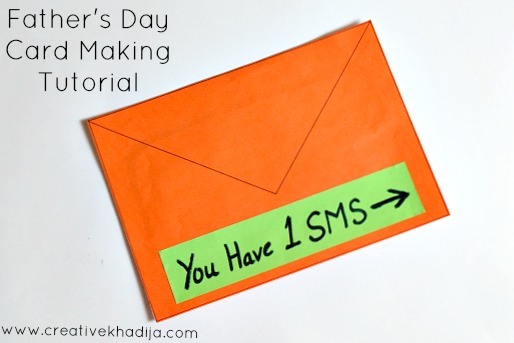 Father’s Day card making idea. I tried something simple yet different actually. 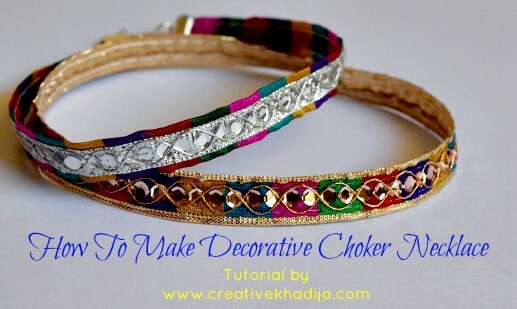 Chokers making is so easy and fun. I have made so many and gifted-sold many. 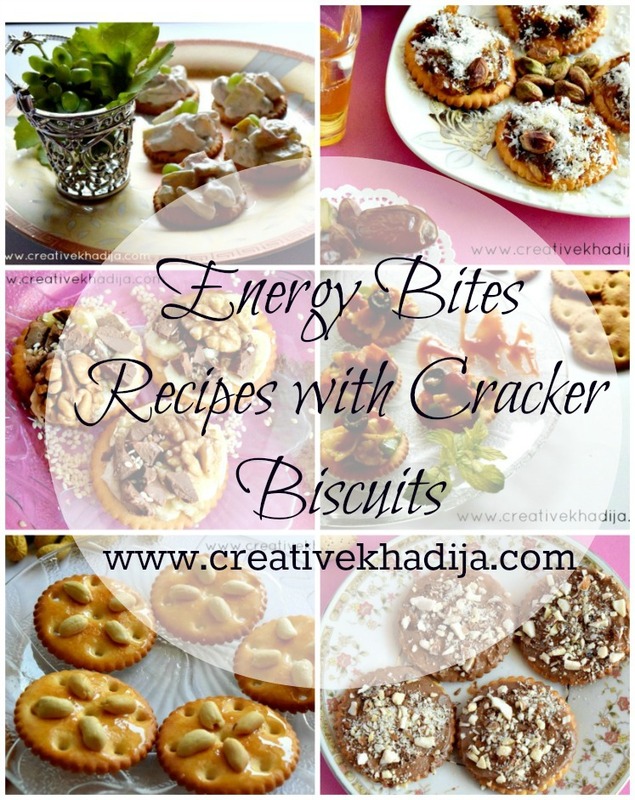 See some more ideas in this post by some other creative bloggers. 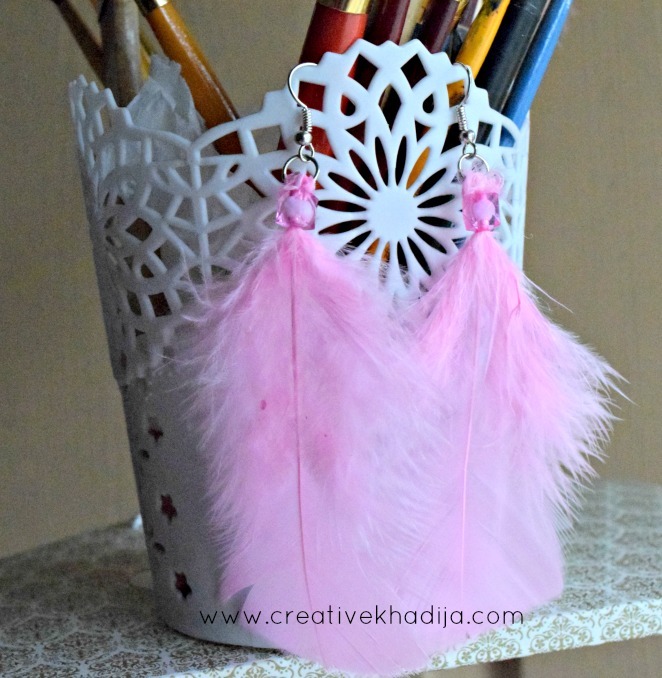 These very light in weight feathers earrings I made. Isn’t ilooking well? 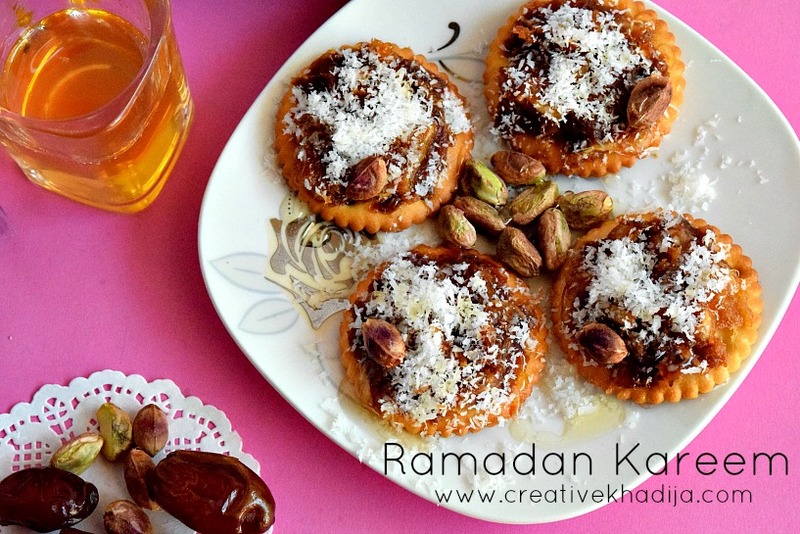 This year I stepped into food photography as well. 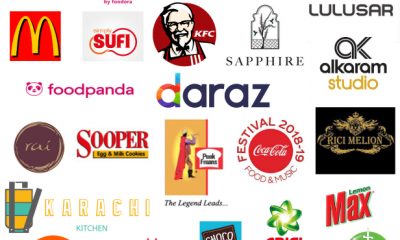 Did some cool projects with well known brands ;) Have a look at some yummy stuff now. Warning: Some mouth watering clicks next. My first ever video recipe tutorial. Isn’t it looking delicious? 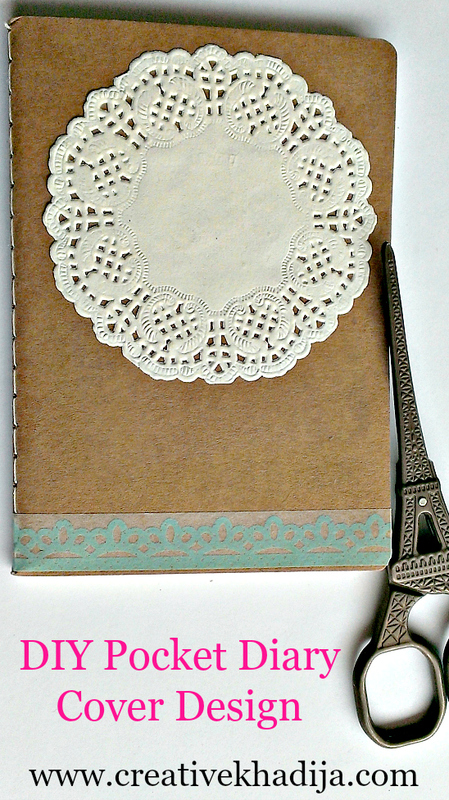 Lace jewelry is always trendy. I made a pair in 10 minutes only. 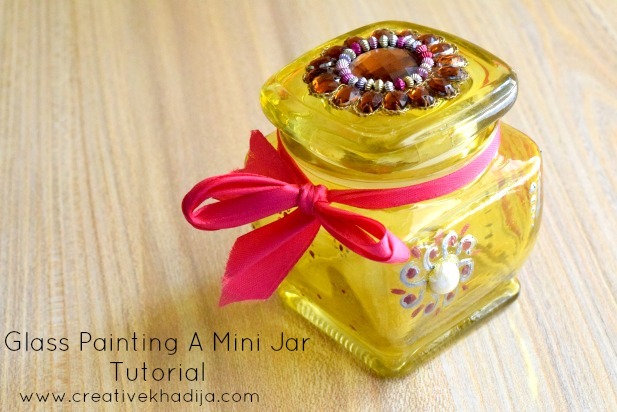 I have decorated this small jar with cute embellishment. See tutorial below. 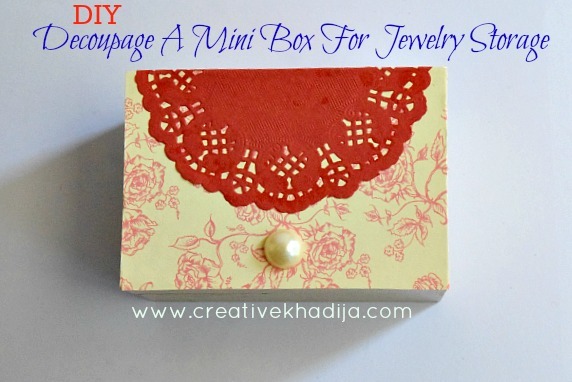 I am keeping my small accessory goodies in this box. See it’s making in the blog post below. 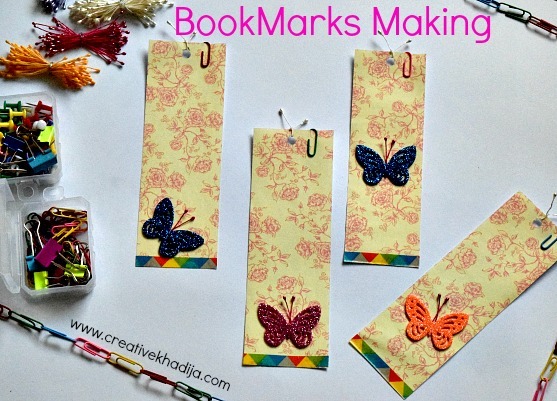 Quick and easy way to make bookmarks. 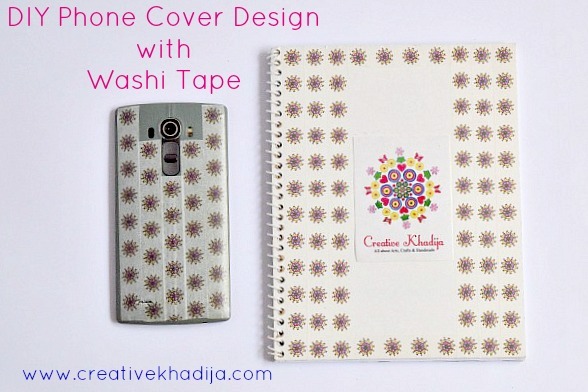 I love my logo printed washi tape designed planner. Isn’t it fun seeing your art design printed? I love reusing ordinary jars and bottles. This was a simple jar you know? See details again. 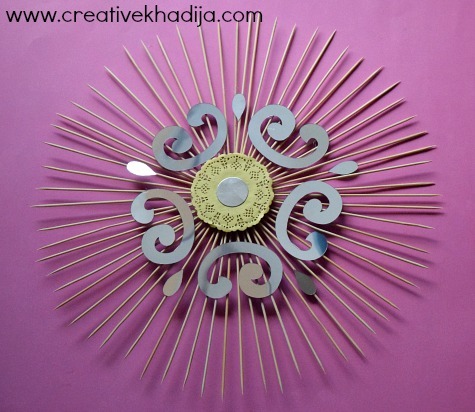 Patriotic crafts in the month of August. And my outfit for the day! 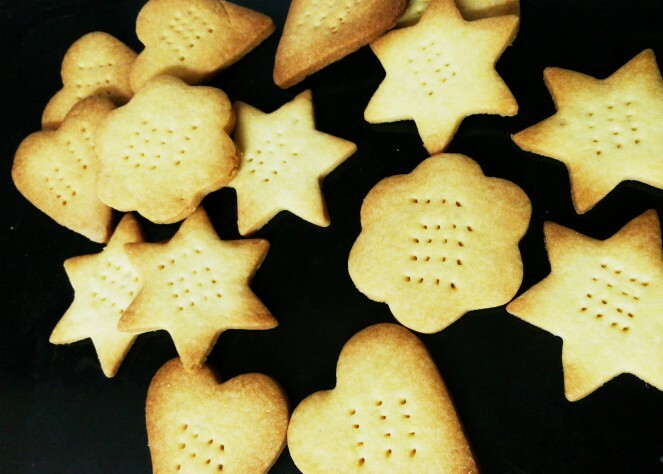 I was invited by English Biscuits for Guniesse Book of World Record event. They made World’s largest cookie flag there with Sooper Biscuits. Remember? My first attempt of crafting with felt fabric. 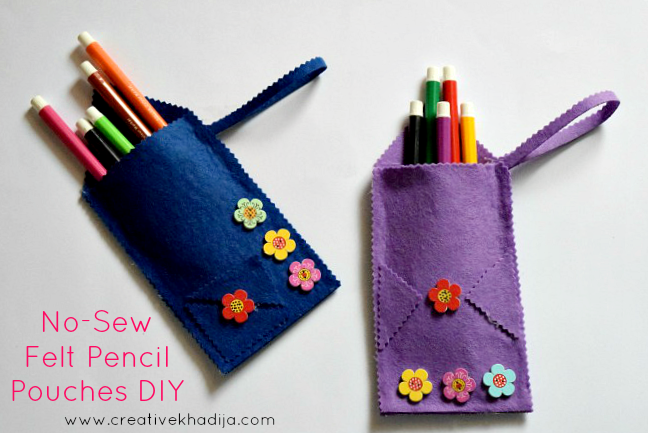 You can also make cell phone pouches with this DIY. 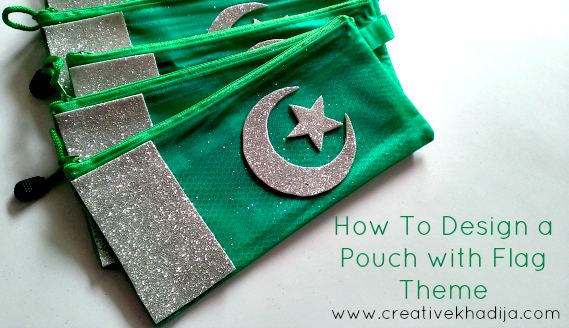 Hajj gifts and crafts ideas. 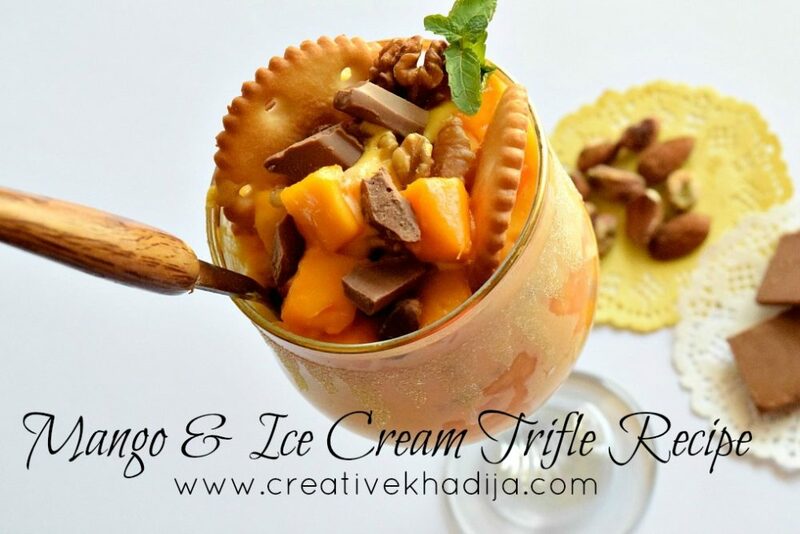 Kids would love to try! 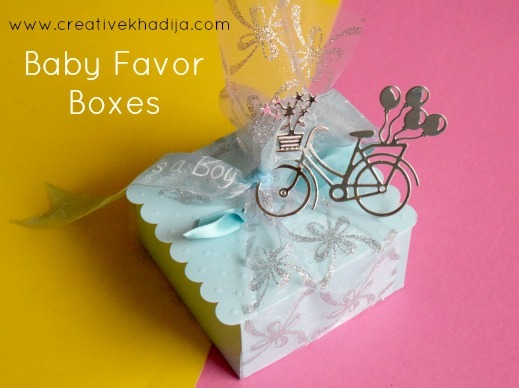 I decorate some boxes for a friend’s baby shower. Isn’t it cute? RIP to my favorite phone which I hardly used for a month and it expired suddenly. 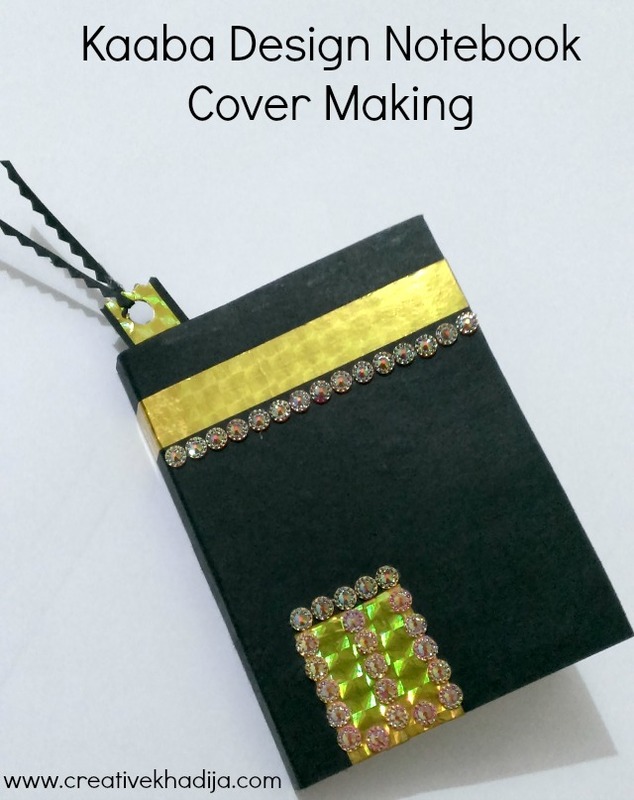 Well, I have decorated it’s back cover when it was okay. 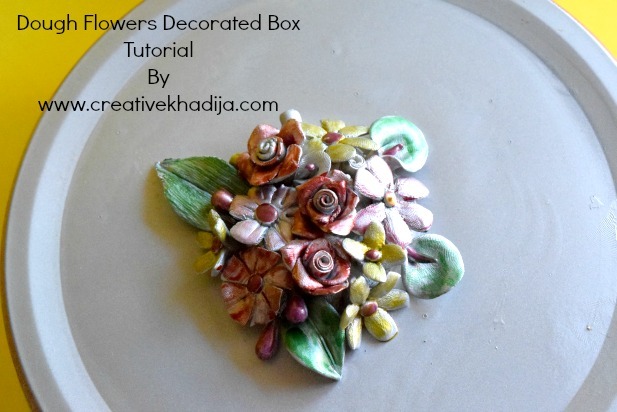 Felt flower making tutorial. 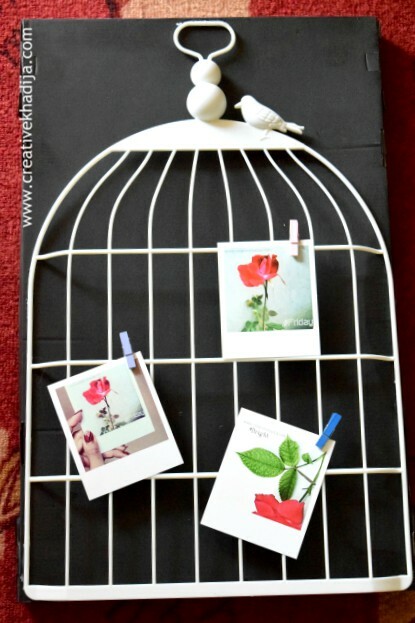 So easy and fun to make! Bar BQ sticks? Yes, but who knows until I disclosed. 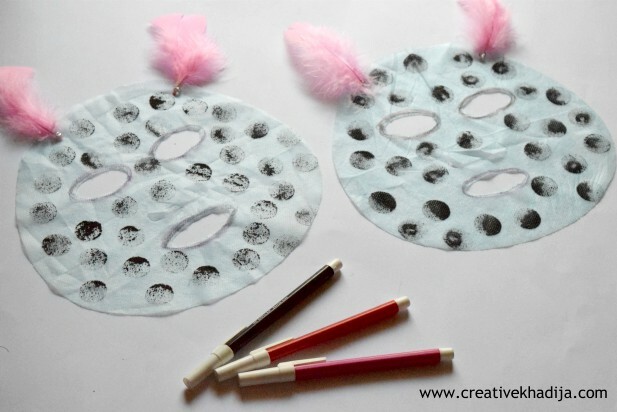 When Halloween is in the air, why not to play with kids treat or trick? 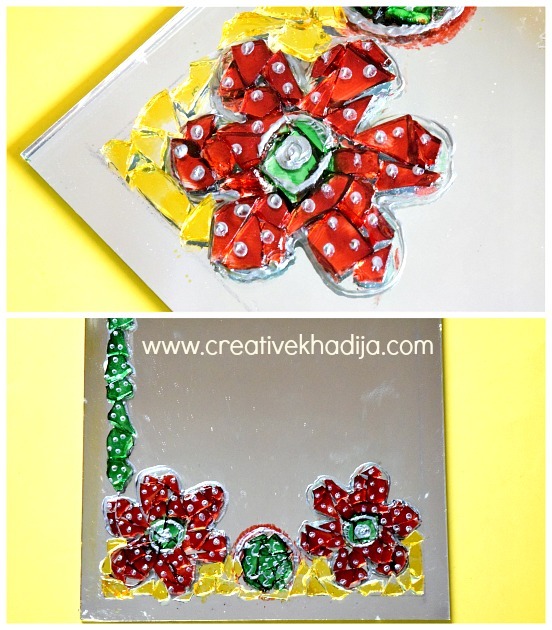 See this kids craft idea I tried with my niece. And yes, my glasspaints were getting dry. They were thick enough to have grains. So I tried them differently and not wasting them atleast. Just an addition to the wall of my craft room. I manage my polaroid prints here. One of the best blog achievement during 2017. 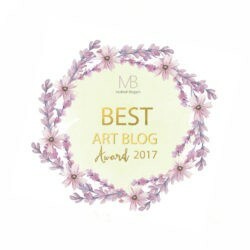 I won the Best Art Blog Award Alhamdulillah. 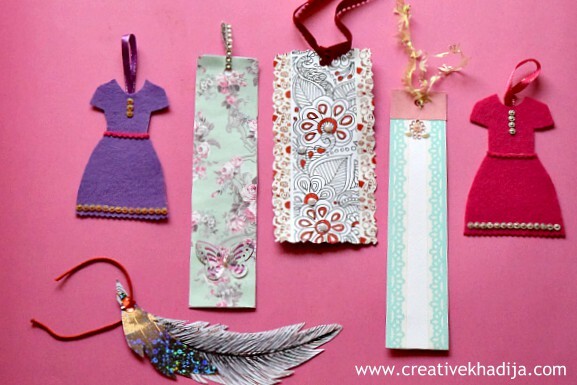 For the love of bookmarks making. 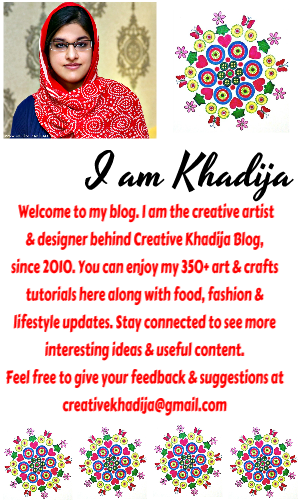 I am getting more busy with a lot of other projects and updating my blog was not easy sometime, so I have two dear contributors to post on my blog sometimes. 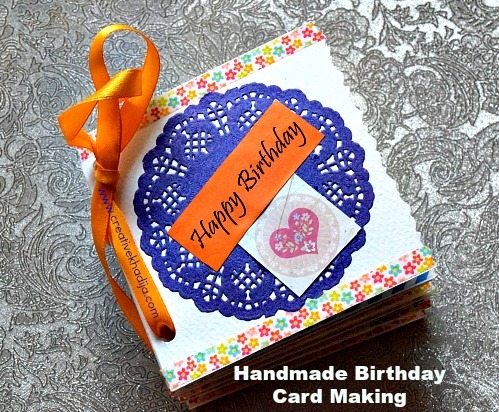 I always enjoy card making and paper crafts. This is one of my favorite. 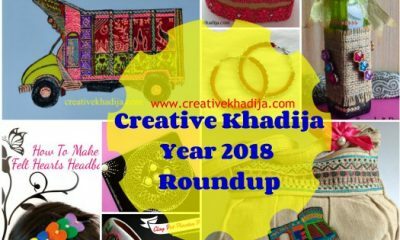 So this was Creative Khadija Blog’s Year 2017 DIY-Crafts Recap. I also wanted to recap and thanks to my sponsors and affiliates as previous years. But this year I worked with so many brands and sponsors. It will be difficult to compose all but I will try. 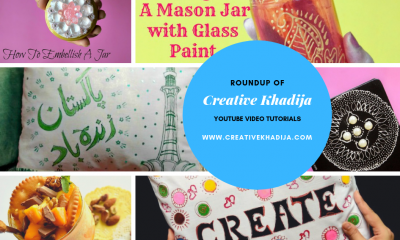 Though I have shared a 4 months round up of sponsors in April 2017. 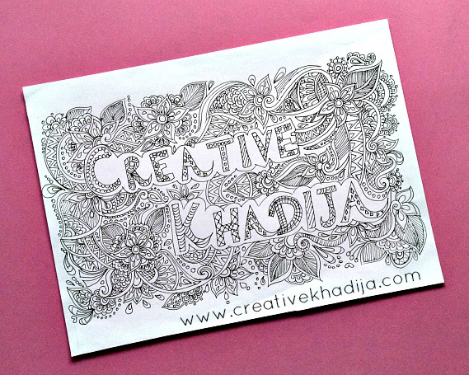 Alhamdulillah this was the best year of Creative Khadija blog for so many reasons. I also want to say BIG thanks to my wonderful reader, followers and customers worldwide. Your continuous support is my motivation behind all the hardwork. I am continuously sharing since 2010 Alhamdulillah because of your support. 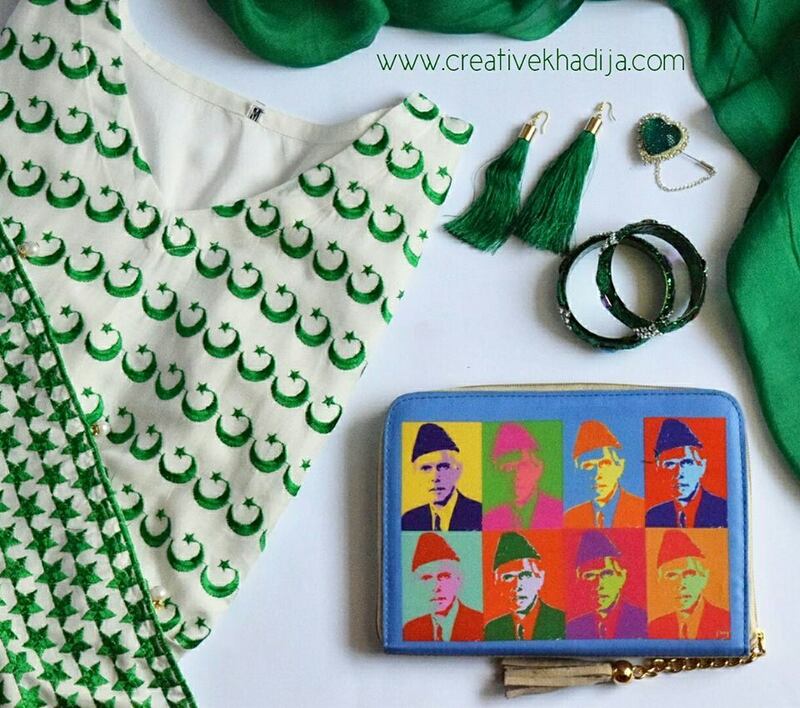 Keep visiting my blog, share your feedback about any thing. 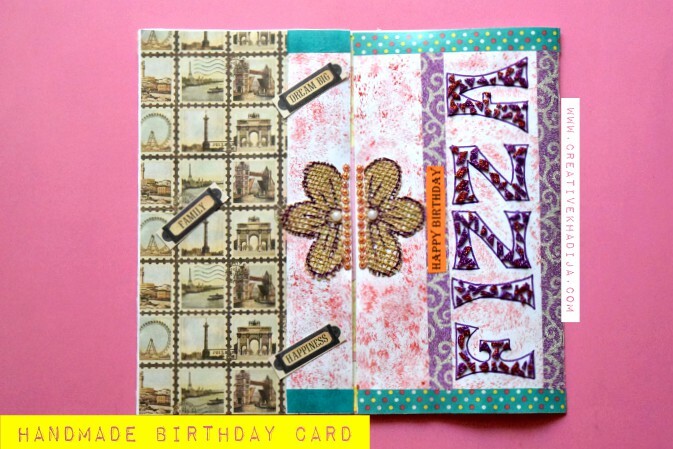 My today’s blog post is the longest post of this year as well. I hope you enjoyed the recap. 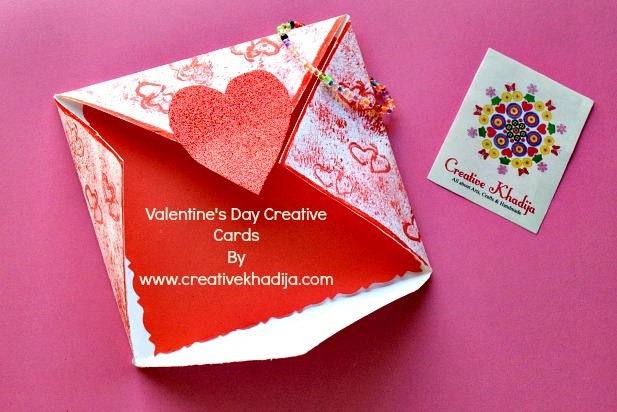 If you want to say anything about my work, crafts or you have any question or suggestion, feel free to write me. Your suggestions are always welcome. I read every comment & email. I always respond too. So don’t hesitate to contact. I would love to help you. Wish you all a very happy and blessed year 2018 in advance. Happy weekend. Beautiful posts! Especially the dough flowers! So many amazing projects, thank you for sharing them this week. 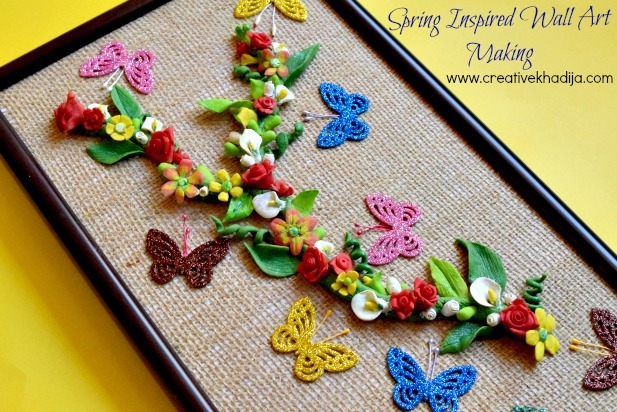 I love that spring wall art, it’s so pretty. Happy new year!